Lifeventure Money Belt Slide Sand Lifeventure Money Belt Slide Sand features a metallic sliding buckle and looks like a normal canvas belt, but has a hidden pocket next to the skin for keeping some hidden cash in case of an emergency. The Lifeventure Money Belt uses a metallic sliding buckle and attractive canvas to look like a normal belt, but has a hidden pocket next to the skin for keeping some hidden cash in case of an emergency. 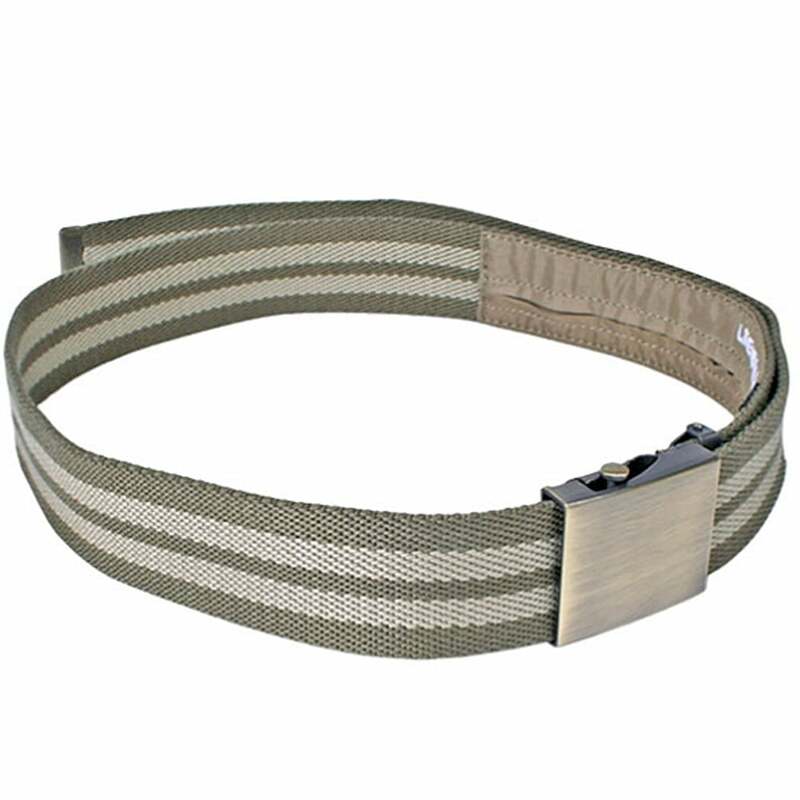 Low-profile belt with sliding metal buckle. Hidden zipped pocket for storing notes.